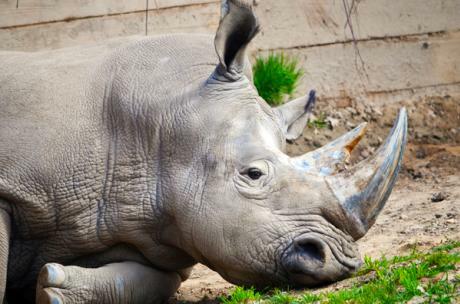 On Friday, May 5, the Seneca Park Zoo Society will proudly host Cinco de Rhino, a 21-andover fundraising event presented by Iron Smoke Distillery. While building on the success of last year’s inaugural event and continuing to raise funds for rhino conservation, the event has expanded to be a celebration of craft beer and cider, with a dozen breweries and cider distilleries on grounds offering tastings. Admission includes beer and cider tastings, appetizers, animal experiences, and live music by Bobby Henrie and the Goners. Guests will enjoy a Zoo Keeper talk and can take a chance at winning rhino-themed prizes, including a behind-the-scenes meet-and-greet with the Zoo’s southern white rhinoceros. A portion of every ticket benefits the International Rhino Foundation, a nonprofit organization working to protect the five species of rhino from extinction. In their natural range, rhinos are primarily threatened by illegal poaching for their horns, which are mistakenly thought to have health benefits, and habitat destruction. The featured Cinco de Rhino breweries and cider distilleries include: Stoneyard Brewing Co., Cider Creek Hard Cider, Four Mile Brewing, Ithaca Beer Co.,Stone Brewing, Troegs Brewing Co., Lagunitas Brewing Co., Anderson Valley Brewing Co., Dogfish Head Brewing, Smuttynose Brewing Co., Bell’s Brewery, and Embark Craft Ciderworks.